Just a reminder that there is a deadline of March 31 to get the announced early bookings discount of 15-20%. In previous posts we have discussed the current booking specials for spring and summer reservations at the Destin Pelican Beach Resort. If you are planning a beach vacation to Destin anytime in the next 4 months, then you only have 3 days remaining to get the early bird discounts for that time period. 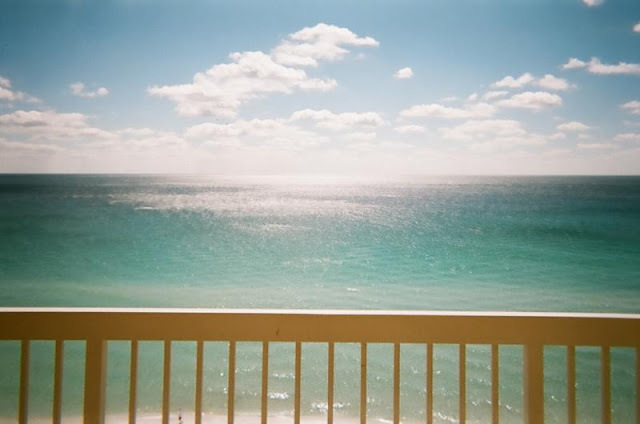 If you are finding this blog for the first time you may not realize that the Destin Pelican Beach Resort is beachfront. The Resort consists of two different buildings and one of those(where my condo is) is beachfront with two different views. The beachfront building has 2 bedroom units(sleeps 6) on an angled view of the beach. All the one bedroom units(sleeps 6) are directly facing the gulf as you can see from the picture I shot off my balcony (up above). The corner stack(2 bedroom) units have both views and rent for more money. 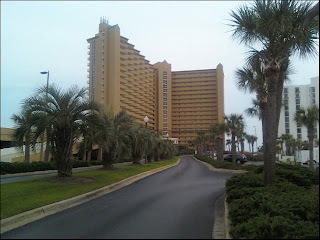 For more information about the Pelican Beach Resort Destin click this link to their website. There is another building in this resort that has a view of the gulf but is not beachfront. That building is The Terrace and you will find penthouse units as well as 2 and 3 bedroom units. 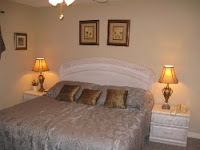 Pelican Beach Resort One Bedroom Available Easter! My neighbor in unit #1005 is right now bringing in new living room furniture and 2 new flat screen tv's. I have asked David to e-mail me pictures of the new "living room". All the upgrades that they are doing will greatly increase the bookings. Right now David's calendar is open including the first week in April. If you want to stay 4 nights your total cost(tax included) would be $685.76. For 5 nights your total cost would be $796.98. For 6 nights your total cost would be $945.28. To stay 7 nights your total cost would be $1006.55. This is the discounted prices if booked by March 31. If you are interested in booking this condo and getting these discounts please call the Destin Pelican beach Resort Management company at 888-735-4226 and give them booking code A1080 and tell them the dates of your spring break and unit #1005. 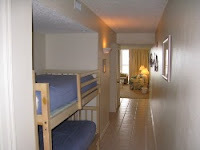 I can offer you my Destin Pelican Beach Resort unit #1004(One bedroom sleeps 6)at a slashed rate for these dates only. From April 10th-16th I can offer you 35% off the normal advertised rate if you call me to book my unit by march 31st. The Pelican Beach management company is offering a 30% discount for these dates(can be withdrawn when most of the units are booked) for all their managed units except the penthouse and 2 bedroom corner stack units. I added an additional discount of 5% if you book my unit through me. 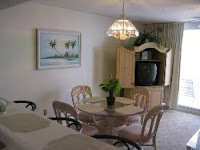 To view pictures of my unit or to look at my calendar just click this Pelican Beach unit 1004 link. Yesterday I received a Newsletter for the Homeowners of the Pelican Beach Resort. 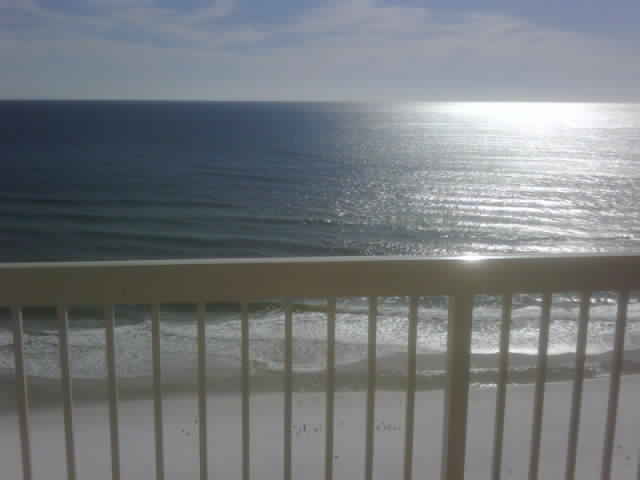 I discovered while reading that the reason people are slow booking for Easter and spring break at the Destin Pelican Beach Resort is because of the unusually cooler weather being experienced in Destin. Many are choosing to wait up until the last minute to book their Easter vacations while watching the weather reports for Destin. This would also explain why the Pelican Beach Resort Destin continues extending the deadlines for discounts for early bookings. 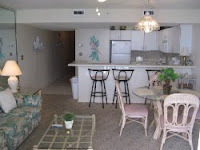 Although my unit #1004 is booked for that time period, I have friends with Pelican Beach units that I can refer you to to book your Easter vacation on the beach in destin. 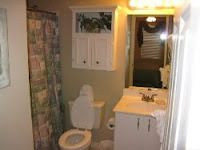 I am getting lots of VRBO inquiries for my unit 1004 for late March and early April. 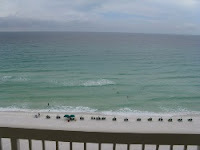 My unit #1004 at Destin's Pelican Beach Resort is pretty booked for that time period. However, my neighbor here in Tennessee bought the unit(1005) right next to mine and he does have availability. You will see the pictures here of his unit. Right now his calendar is open from March 18th through the month of April. Right now if you book by March 15th, this unit can be rented from March 20 - May 27th and receive a discount of 15% for 3-4 nights stay, 15% discount for 7 nights stay, and 20% discount for 5-6 nights stay. Let me take this a step further. If you want to stay 4 nights your total cost(tax included) would be $685.76. For 5 nights your total cost would be $796.98. For 6 nights your total cost would be $945.28. To stay 7 nights your total cost would be $1006.55.